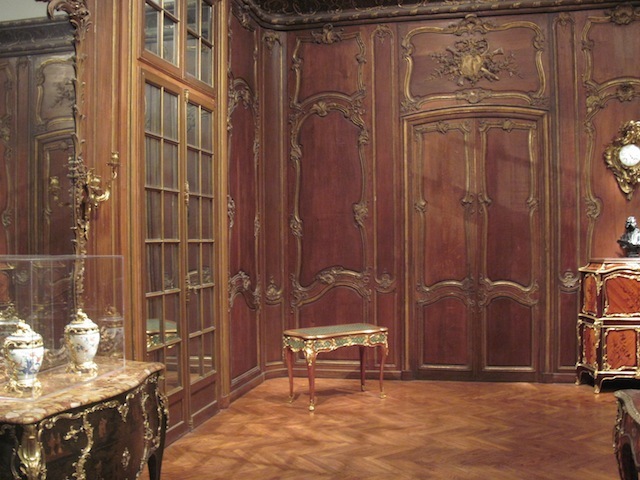 Before its reconstruction a few years ago, the de Young Museum in San Francisco had a wonderful paneled French period room with windows opening on a patio and pool in a quiet copse behind. It was used for parties and receptions. It was spacious and gracious and every good thing. 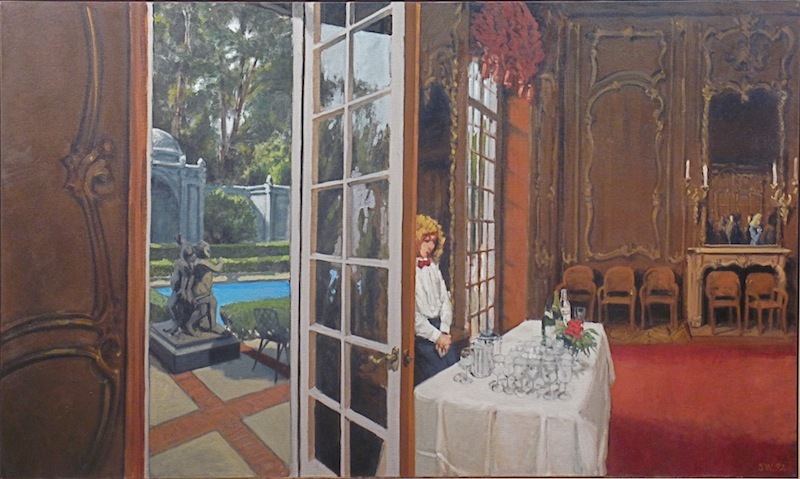 I painted events there a couple of times, above in 1992, and below, ten years later. But the old building was vulnerable to the major earthquake that the area is sure to have sooner or later. It was torn down, but the architectural oddity that replaced it could not have spread its stylistic wings wide enough to embrace the French room. 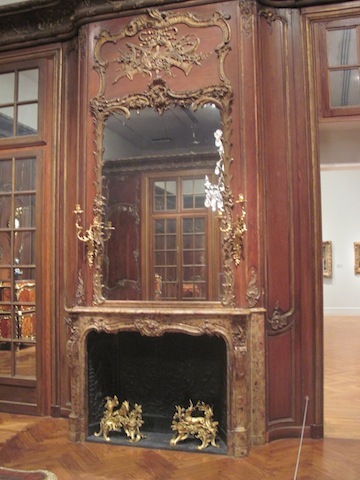 Instead it was reinstalled in an internal room at the Palace of the Legion of Honor. Which was better than losing it altogether, but whereas in the de Young it was a live space, at the Legion it is merely paneling on display. The views and spaciousness are gone. The windows are reduced to mirrors, the questing, shaping daylight to boring, flattening ceiling floods, the flocks of art lovers to this or that item of furniture and objet d’art in plastic cases. A mummified room. A real loss. So, you may ask, have you any bright suggestions? Alas, I do not.